This spectacular trail was named as one of the Best Hikes in the World by National Geographic. 3-days of phenomenal trekking. This complete crossing over Fimmvörðuháls is probably the best known hike in Iceland, along with the Laugavegur trek. This popular trail marks the sighting of the first phase of the 2010 eruption of Eyjafjallajökull. Since then, the Fimmvörðuháls hike has become a real hot spot. You will encounter spectacular nature and exciting geological features along the way. 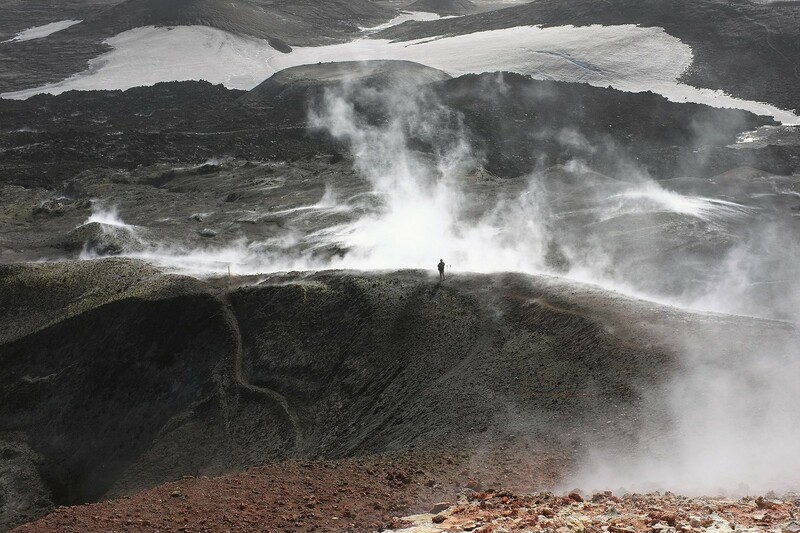 Your highly experienced and knowledgeable trekking guide will lead you from the nature reserve of Þórsmörk, up between the two glaciers and over a newly batch of formed lava. From there, you will travel past two popular craters Magni and Móði before descending to the lowlands on the southern side. In the evenings, you will enjoy delicious Icelandic meals and rest in cozy mountain huts. At the end of the hike. you will be greeted by the great Skógarfoss waterfall and a view of the Atlantic coast, which is just a short distance away. The astonishing diversity makes this short trek another favorite in Iceland. This was an incredible experience. A hike of a lifetime. A group of 4 of us enjoyed it, ages 35-37, that have traveled the world, and were amazed at the beautiful terrain we experienced. We covered glaciers, volcanic craters with ash, steep mountains, dozens of beautiful waterfalls, and open meadows.